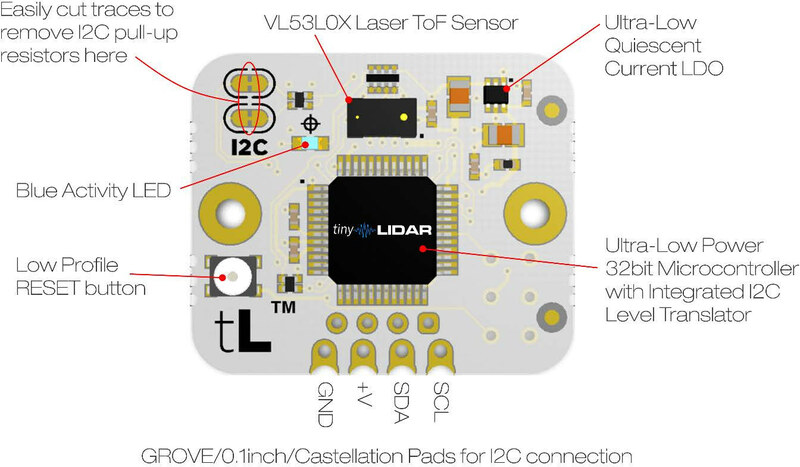 TinyLIDAR is an inexpensive and compact board based on STMicro VL53L0X Time-of-Flight (ToF) ranging sensor that allows you to measure distance up to 2 meters using infrared signals, and with up to 60 Hz. Contrary to most other VL52LOX boards, it also includes an STM32L0 micro-controller that takes care of most of the processing, frees up resource on your host board (e.g. Arduino UNO), and should be easier to control thanks to I2C commands. The project was successfully funded on Indiegogo by close to 600 backers, and the company contacted me to provided a sample of the board, which I have now received, and tested with Arduino (Leonardo), and Raspberry Pi (2). I was expecting a single board, but instead I received a bubble envelop with five small zipped packages. Opening them up revealed three TinyLIDAR boards, the corresponding Grove to jumper cables, and a bracket PCB for three TinyLIDAR boards together with headers and screws. So I looks like I received the “3 tinyLiDAR – IGG Special” plus the bracket board that was supposed to be a stretch goal unlocked at $25K (but they only got $23,717). Maybe that’s a good sign for backers, we’ll see. Due to time constraints, I won’t use the bracket, but only single boards. 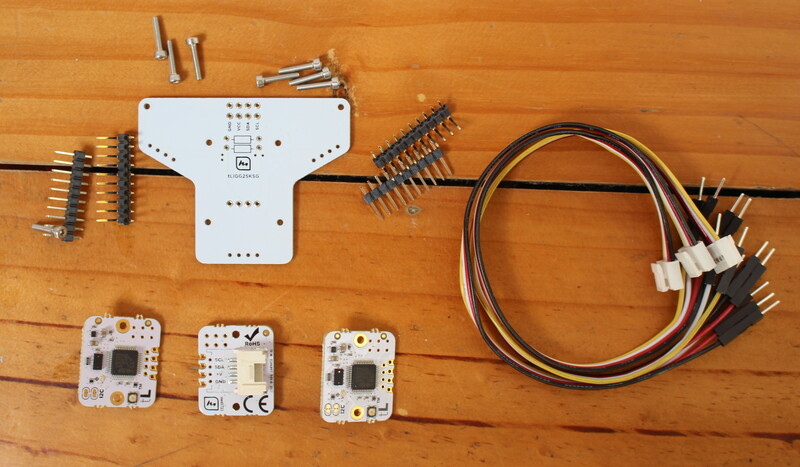 The brackets can be used with three tinyLIDAR boards using different I2C addresses, and you’ll see an example use with the Follow-me 2 Sketch where the 3 LIDAR boards are mounted on a tilt/pan platform that can track your hand. The bigger chip on the by is STM32L0 Cortex M0+ microcontroller with the much smaller STMicro VL53L0X laser ToF sensor placed right on top of it on the photo above. 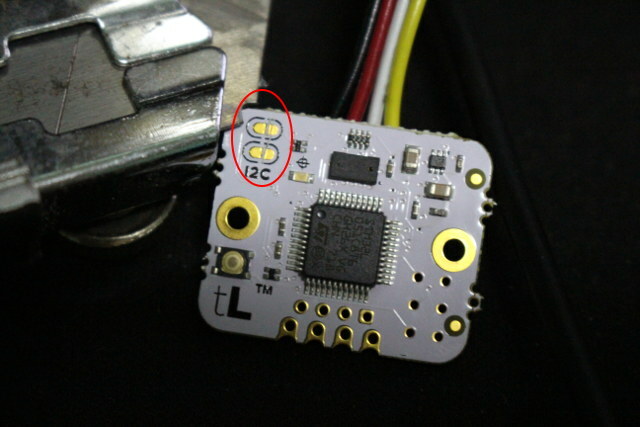 There are also a few I/O include the 4-pin I2C Grove connector and through holes, some pogopin for direct UART access, an LED, a reset button, and more, as described in the diagram below. Now, it’s time to play with the board using sample and documentation on a dedicated page. Refer to this page for the latest versions, as below I’ll link to the versions I used for the review. The hardware connections are very easy as you just need to connect the jumper cables to the I2C pins, 5V and GND on the board. Once this was done I connect a micro USB cable to my computer, and tried to upload the ino sketch file, but it failed to compile. 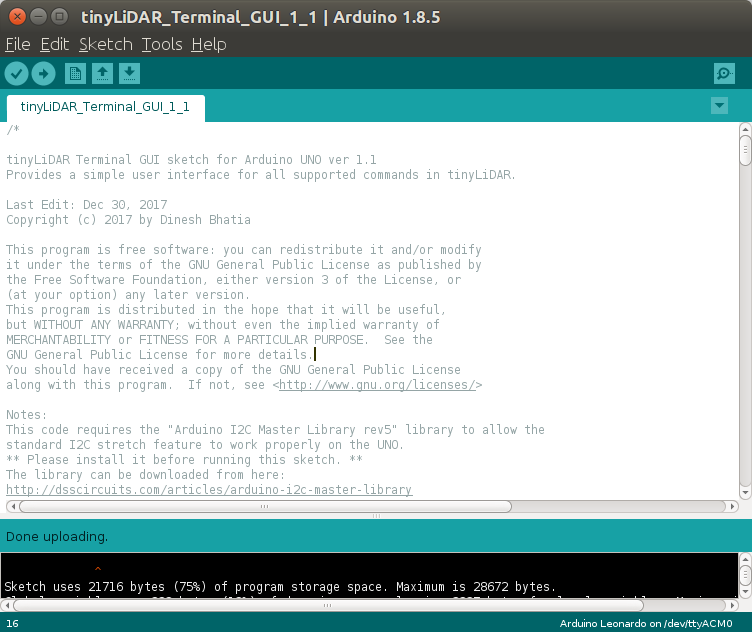 That’s because I forgot to install Arduino I2C Master Library, which can be downloaded here, and you just need to click on Sketch->Include Library->Add .ZIP library, and select the freshly downloaded I2C_Rev5.zip file to complete the installation. 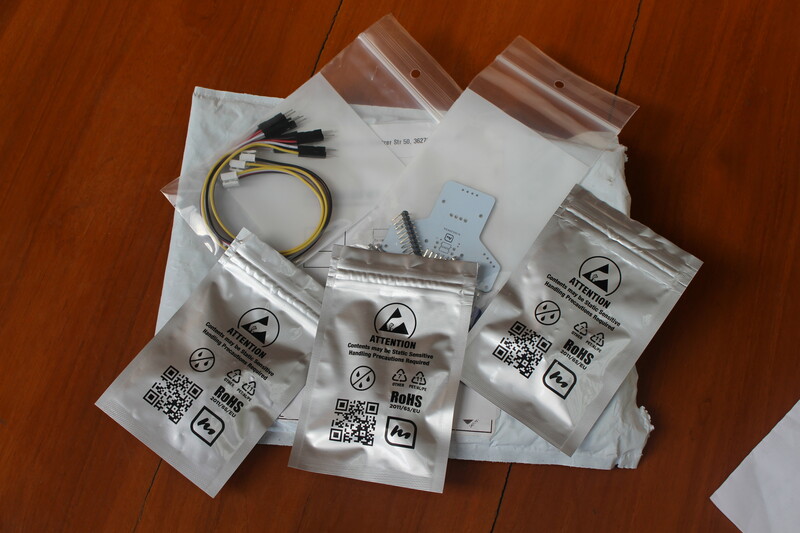 I could then build and upload the program to Arduino Leonardo. You’ll get a list of command in the terminal, but you may want to read the reference manual to clearly understand each item. 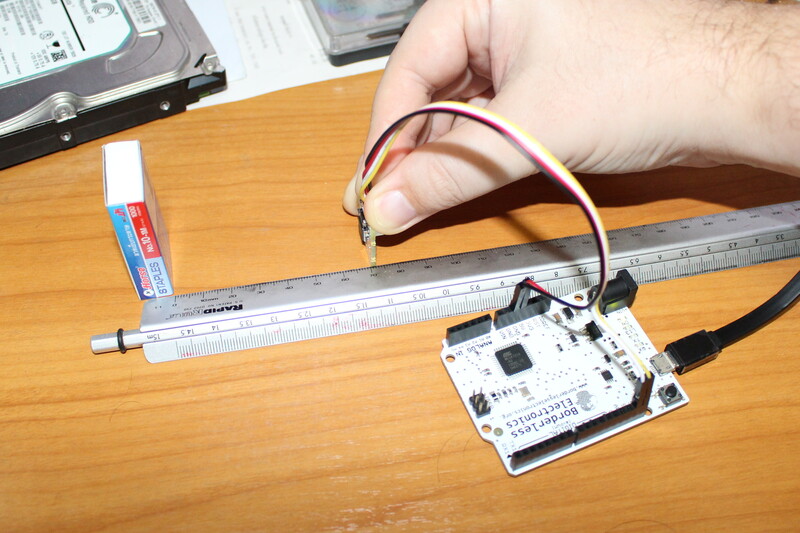 I could also use to read command, but to test accuracy I decided to use a ruler and a small box as shown below. Perform Offset Distance Calibration on tinyLiDAR. the commands “MC” and “PH”. See example code in Appendix A for details. from tinyLiDAR before running this calibration. Must specify calibration distance in mm. operations. This calibration takes about 10 seconds to run and the LED will flash slowly during the calibration. You can reset to our factory defaults by executing the “RESET” command. : tinyLiDAR preset to High Accuracy configuration. : tinyLiDAR set to Continuous mode. It’s getting better, although the first two steps always seen to be stuck to some previous measurements. I’ve been told it may be due to some buffer in the serial terminal. : tinyLiDAR set to SingleStep mode. : Now writing parameters to tinyLiDAR. 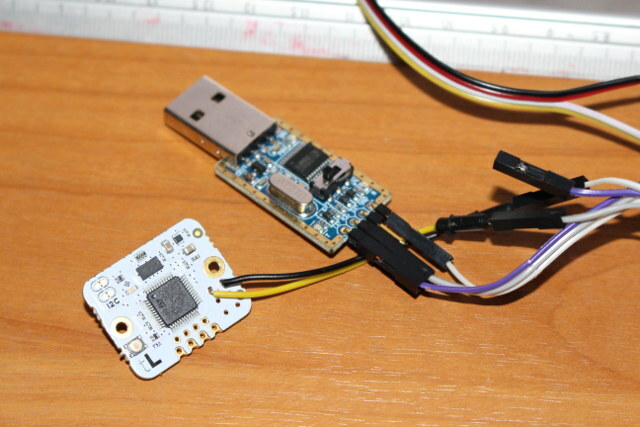 … or instead you may consider soldering GND and serial TX pins on tinyLIDAR board, and access the read-only console use a USB to TTL debug board as shown below. 0 | 1384960 : 27 mm, 27 mm. 0 | 1385984 : 20 mm, 20 mm. > Now going to autonomous mode. 0 | 1344512 : 21 mm, 24 mm. 0 | 1355264 : 21 mm, 22 mm. 0 | 166400 : 67 mm, 124 mm. 0 | 32768 : 681 mm, 1594 mm. 0 | 29696 : 1038 mm, 1570 mm. 0 | 26624 : 1216 mm, 1482 mm. 0 | 33280 : 1357 mm, 1568 mm. 0 | 33792 : 1408 mm, 1485 mm. 0 | 73728 : 947 mm, 264 mm. The code above is for Arduino Uno, so if you use Arduino MEGA or Leonardo you’ll need to change the PORT to PORTD, and SCL and SDA to pin 0 and 1 respectively. 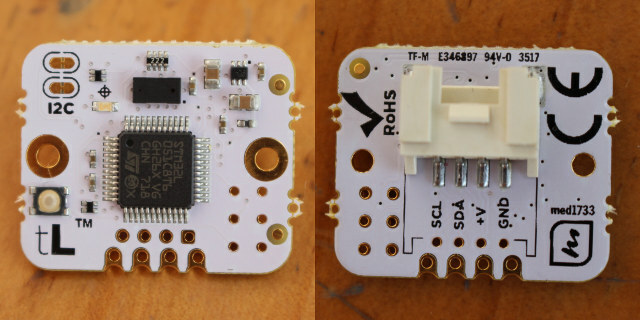 Arduino is cool, but if your project is better suited to Raspberry Pi board, you can also connect tinyLIDAR to the I2C port of Raspberry Pi 2/3, or any other Raspberry Pi boards. The instructions are explained in details on Instructables, also explaining some of the shortcomings of I2C on Raspberry Pi board (lack of clock stretching support, pull up resistors installed). The steps are very details, even suitable to people having never used a Raspberry Pi, so here I’ll go faster focusing on settings specific to tinyLIDAR use. 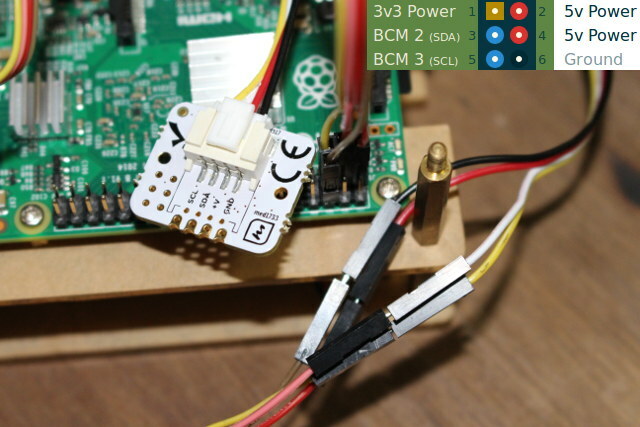 First you need to scratch the I2C PCB trace on tinyLIDAR with a cutter to disconnect the pull-up resistors since it’s already done on the Raspberry Pi board. 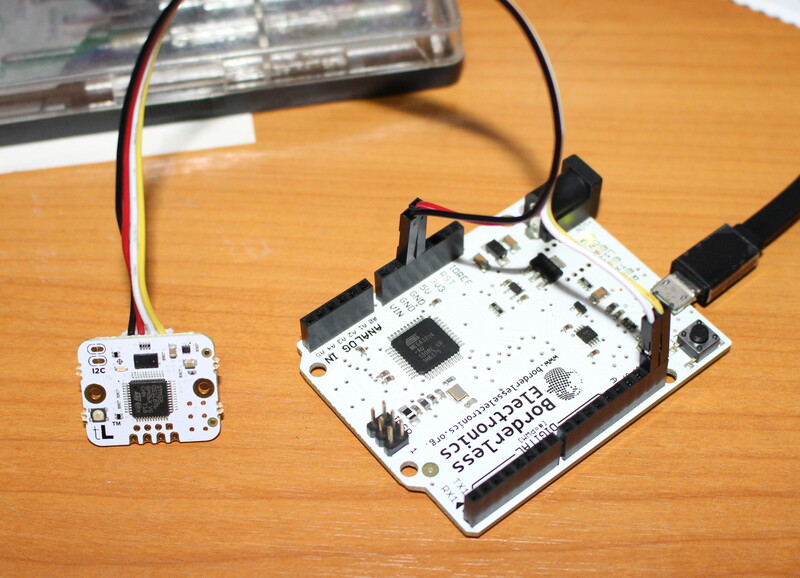 Now we can connect tinyLIDAR to the I2C pins, as well as 3.3V and GND. 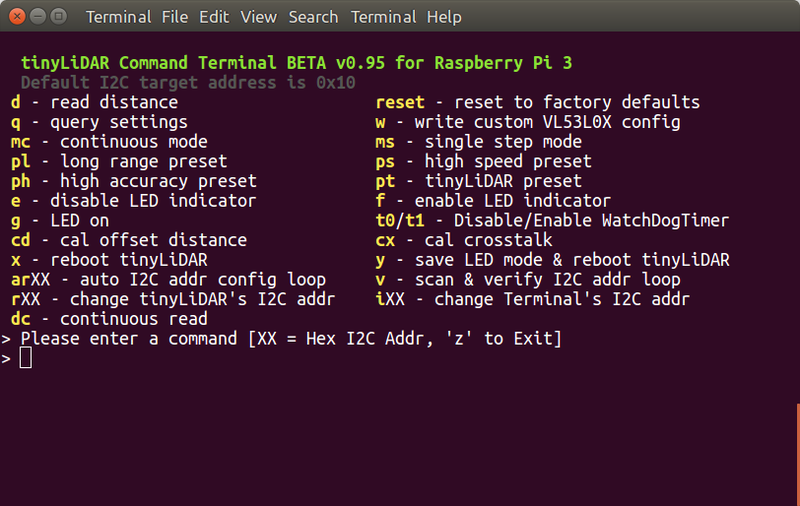 You’ll also need o run raspi-config to enable I2C. We can see 0x10 I2C address is detected, and that’s our tinyLIDAR board. If you don’t have any addresses detected, re-check your connections. 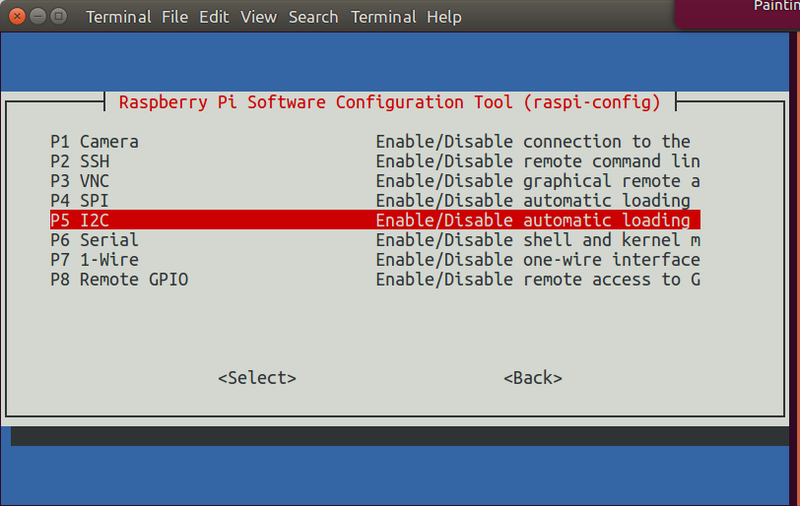 Again the RPi terminal GUI is just for evaluation, but you can study the Python in order to integrate support for tinyLIDAR into your own Python application. That’s all for this getting started guide. 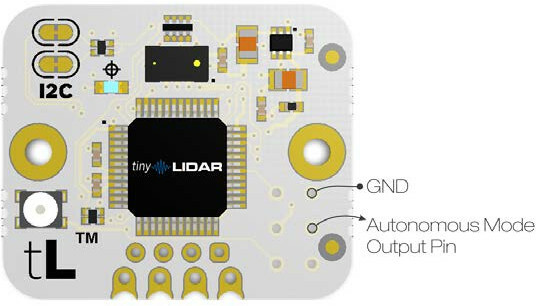 The crowdfunding campaign is now over, but you can buy TinyLIDAR board directly on MicroElectronic Design website for $24.95. You’ll also find the bracket board for $4.95 and a pack of 100 mounting screws on that page. Further details may also be found on the product page.